Barkhamsted resident Deidamia Shepard died in 1903 but her voice lives on. Deidamia Shepard lived a simple country life on a small farm on Center Hill in Barkhamsted. She died in 1901 but her voice lives on in the form of her diary in which she recorded the routine events of everyday life, her thoughts and concerns. The diary found its way by chance into the hands of Dianne Thurston of Manchester. Dianne was poking around items in a tag sale and was intrigued by the 103 page diary, which she purchased for $2. The diary was in poor condition, and it was not readily apparent just who made the entries or where they lived. The story of Deidamia is intriguing because of the many fascinating threads involved: the detective story of how Dianne found the single clue that uncovered where Deidamia lived and who she was; the glimpse into the life of a country women enjoying the small pleasures and facing the hardships on a Barkhamsted farm; the end of life concerns as she grows old. Dianne has presented facets of the story in our Quarterly newsletter and at a May 11 program. Recently she was interviewed for a feature article in the June 10, 2007 Waterbury Republican newspaper (a story which was picked up by AP). 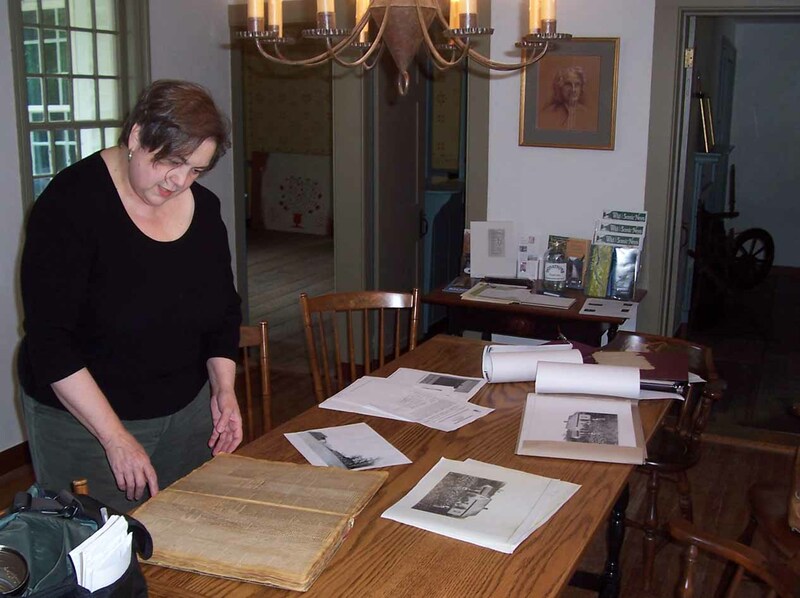 The Historical Society is very pleased that Dianne has brought to light Deidamia's story. Dianne has done extensive research on the Deidamia Shepard and is considering recording the story, possibly in book form. Photo above- Dianne Thurston at the Squire's Tavern with the Deidamia Shepard diary. 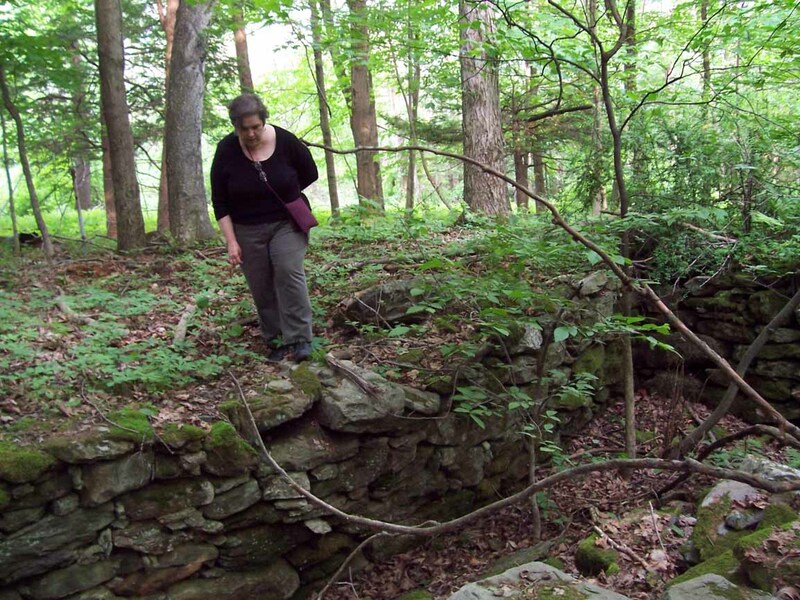 Photo above- Dianne Thurston inspects the house foundation where Deidamia Shepard lived (located on MDC land on Center Hill, Barkhamsted).